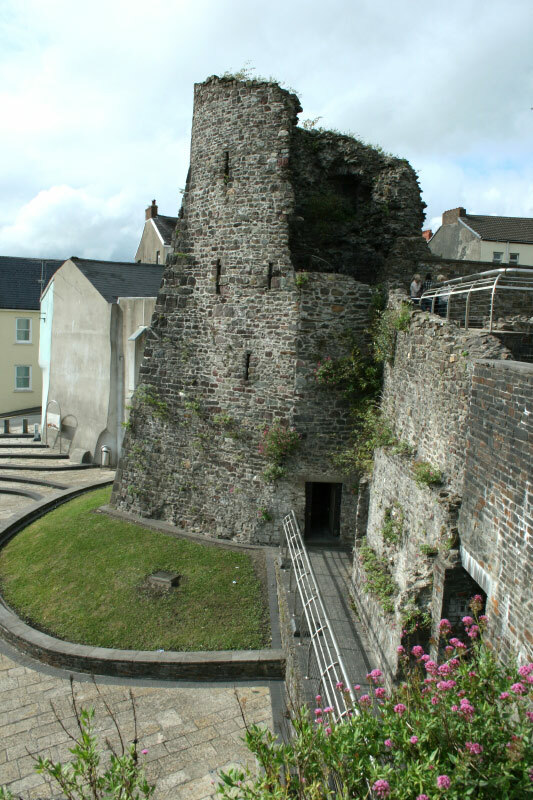 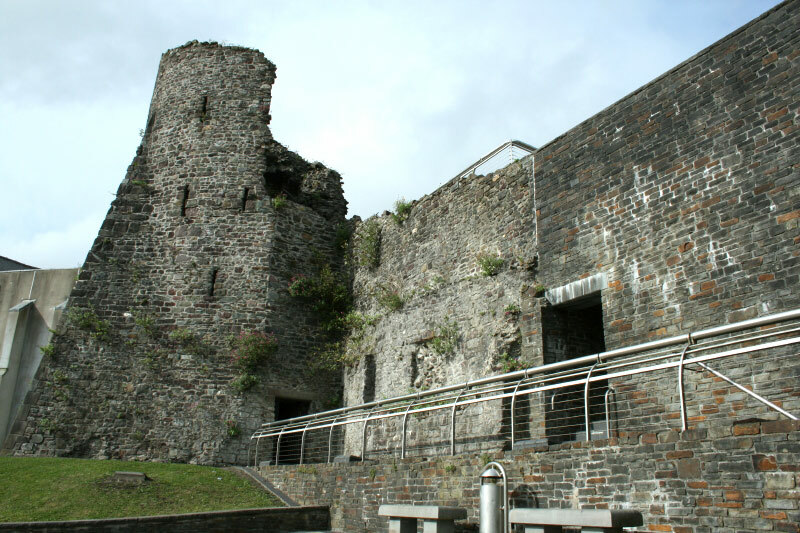 The Roman fort at Carmarthen (Moridunum) dates from about AD75 and was in used until about AD120 when the fort became a town. 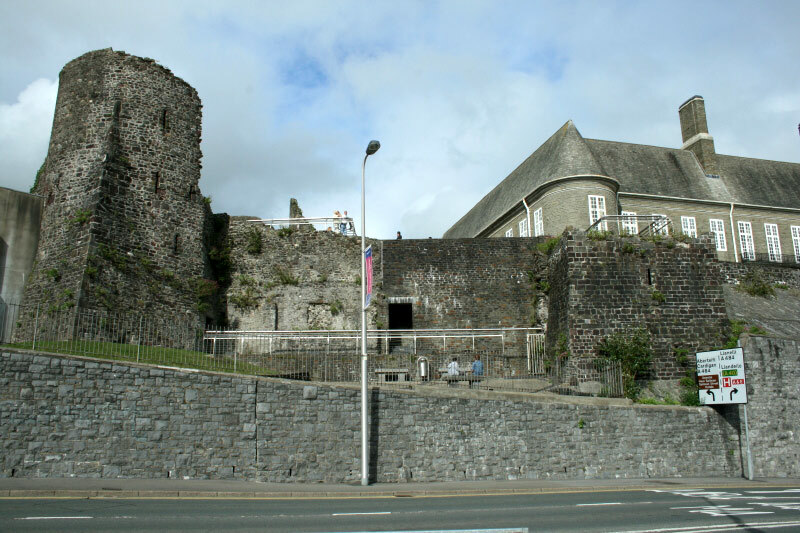 The first Norman castle started in 1093 down river was destroyed, but it was then rebuilt on the site of the Roman fort in 1109. 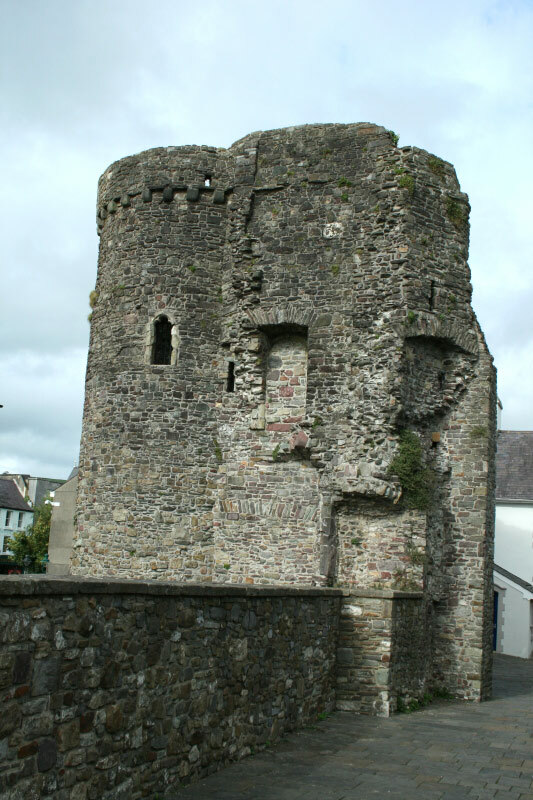 The wooden castle was captured and burnt down a number of times in the 12th century, and was rebuilt in stone which started in 1181 and was fully completed in 1233. 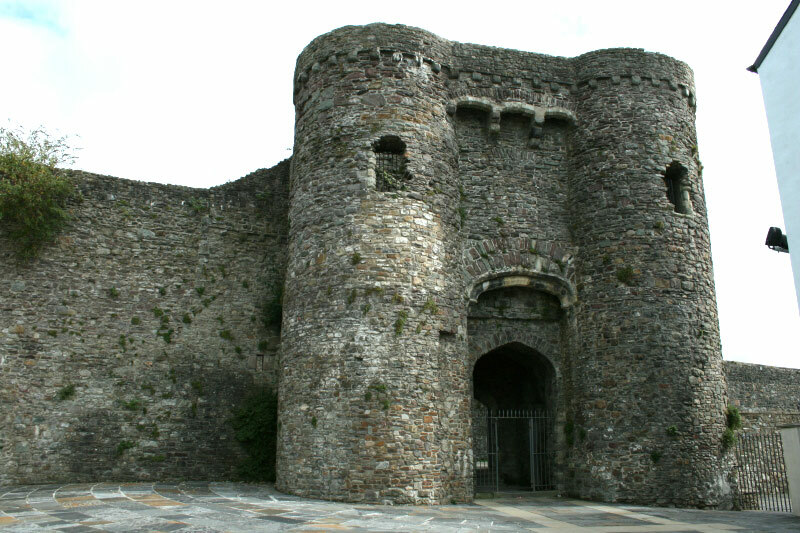 It was badly damaged after the Civil War having been besieged first by Royalists and then by Parliament. 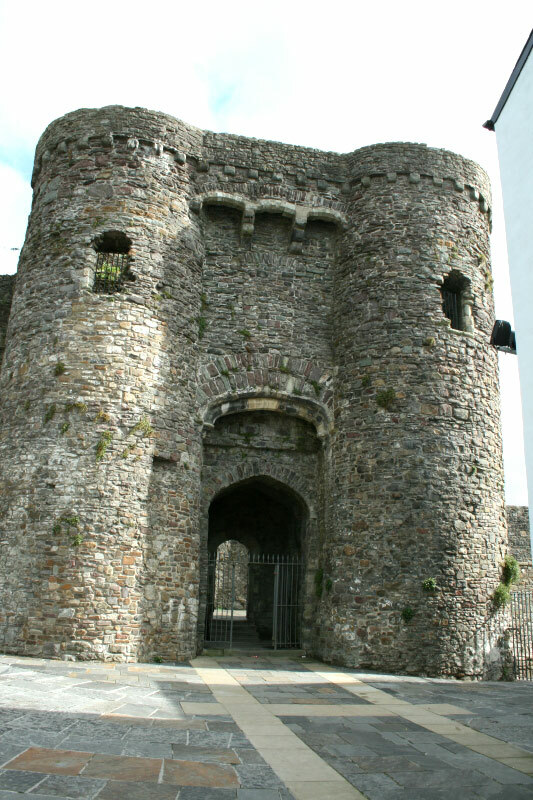 After this it was then slighted and most of the remaining structure, apart from the gatehouse, was demolished in the 18th century and has since been built over.